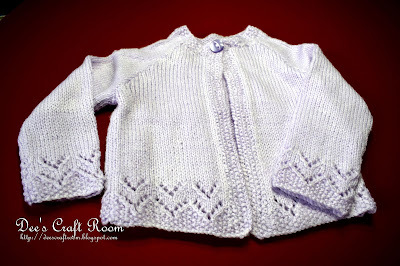 This pretty pale lavender cardigan is another of the cardigans I made earlier this year but never got around to posting. It is made in Baby Double Knit, which is very soft and cosy and has this lovely decorative panel along the bottom and a moss stitch boarder. 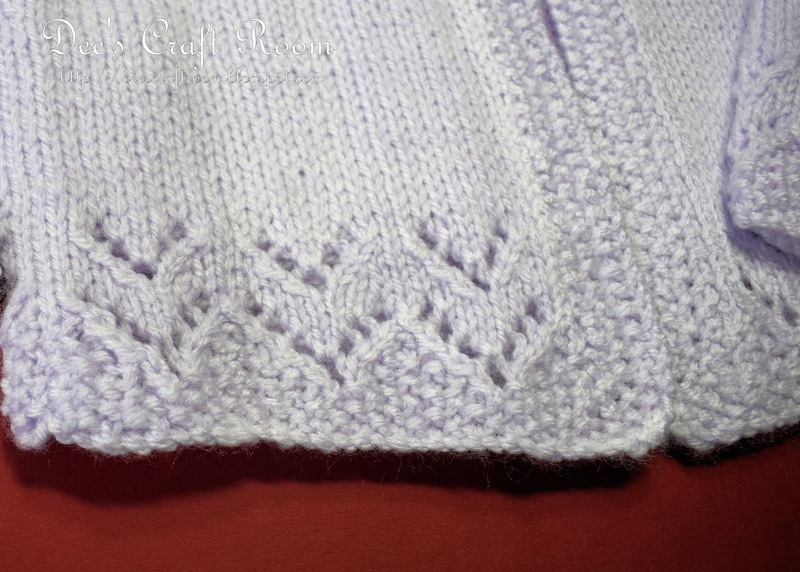 This is a old Sidar Supersoft knitting pattern reference number 3101. You really are too kind Lisette, nothing I make is that complex, my knitting skill are not up to anything too compicated. I have noticed that all of my favourite patterns are pretty old, no one seems to design new patterns, and yet knitting is more popular than it has been in years. Thank you, it is such a shame you cannot see the colour on this one, it's a very pretty pastel shade of lilac and it is such a lovely pattern to make.